In Call of Duty: Black Ops 4's Blackout mode, you start out with nothing but your bare fists for weapons, and you'll have to get scavenging some guns pretty quickly. In this Black Ops 4 Blackout best guns guide, we'll be compiling a list of all the best weapons in the entire mode, that you can find in various locations around the Blackout map. For more on Call of Duty Blackout, head over to our Call of Duty Blackout Guide. 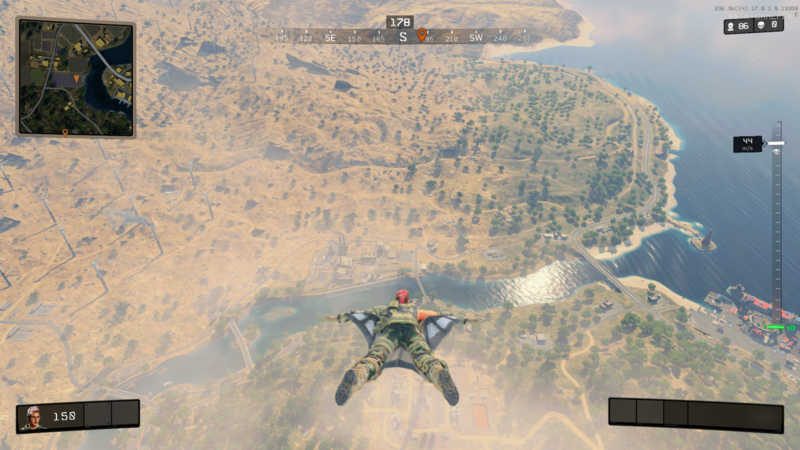 It’s got helpful tips and tricks, a look at how to use the wingsuit, and a detailed breakdown of the Call of Duty Blackout Map. Will More Weapons be Added to Blackout? There's a wide range of weapons to find in Call of Duty Blackout. From Assault Rifles to Shotguns, choosing the right weapon for the right situation is the key to winning a game of Blackout. We've listed all of the weapons you can find in Call of Duty Blackout below, then we'll go on to give you our picks for the best ones to use. Now that you know every weapon that you can pick up in Blackout, it's time to sort the wheat from the chaff. Below you'll find our picks for the very best weapons in Black Ops 4 Blackout. In our experience with Call of Duty Blackout so far, the best set up is a good assault rifle with a 2x scope, and a Paladin with Sniper Scope. The Paladin absolutely shreds armor, and is perfect in the plentiful wide open spaces that the Blackout map is made up of. The Paladin has less bullet drop than the other sniper rifle in the game, and is capable of some very long ranged kills. The DMR is a single-shot tactical rifle that is perfect for late game. Stick a 2x scope on it and it essentially operates at sniper range. You can find the Auger around Asylum. 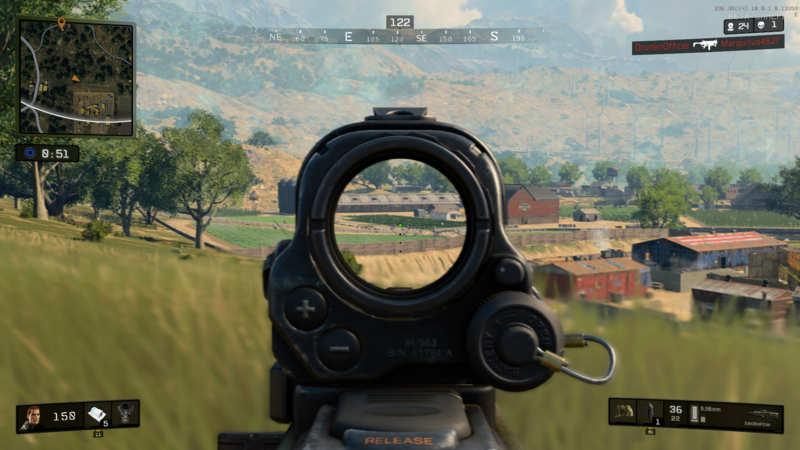 You’ll come across vehicles often in Call of Duty Blackout, and the end game is often dominated by players racing towards the center on quad bikes. If you see a Hellion, pick it up and head outside. Players in vehicles become cannon fodder thanks to the homing lock that is incredibly sticky, and boasts great range. You can also use it to take out other players from afar as well. It feels like the VAPR might rise to the top as the most popular weapon in Call of Duty Blackout, given how easy it is to use. It has great mobility, and can be great close range if needed. Paired with a 2x scope it’s a very solid all-rounder, and super precise at range. The Titan is fast becoming our favorite weapon in Call of Duty Blackout, thanks to its ability to tear through armor and vehicles like they’re made of paper. When equipped with a grip and extended mag, it’s incredibly powerful. The Ray Gun is as useful as it is silly. It generally downs enemies in two shots, so it’s worth considering. There’s also the added bonus of there being very little drop associated with the laser rounds, so you should be able to it your target with ease. Treyarch has confirmed that there will be new weapons added in later down the line. These could include limited-time exclusives or new regulars introduced in patches. Given Blackout's propensity for dipping into the series' history for its map and weapons roster, it's likely we'll see some fan favorites return in the future. Barrett 50-cal anyone? That’s everything on the best weapons in Call of Duty Blackout. For a detailed breakdown of the Blackout Map, head over to our Call of Duty Blackout Map Guide.